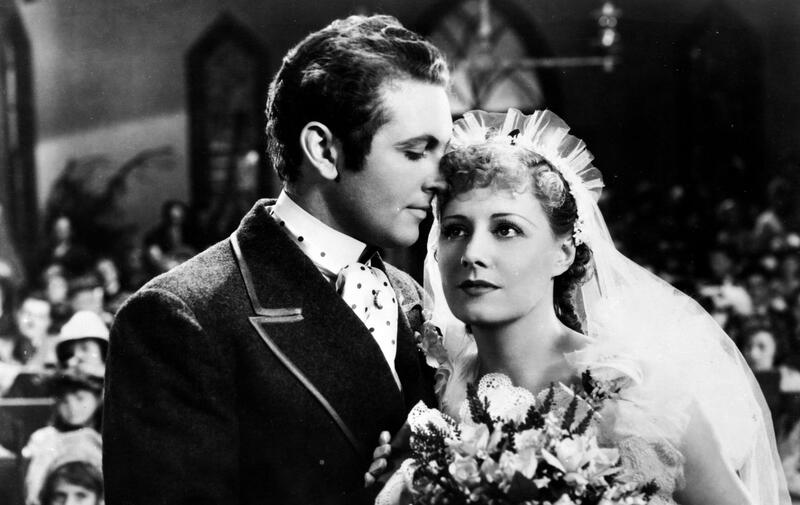 Allan Jones plays debonair leading man Gaylord Ravenal and Irene Dunne is the enchanting Magnolia in the 1936 film version of Show Boat, which has just been released on DVD. As the stevedore Joe, Paul Robeson sings the show's most memorable anthem: about how the mighty Mississippi River, that unstoppable force of nature, is completely indifferent to human suffering. Broadway had never seen anything like it when Show Boat arrived at the Ziegfeld Theatre in 1927. The score was unforgettable and the story tackled complex racial issues. There have been three movie versions, but the best one — James Whale's 1936 production — has only just been released on DVD. Show Boat was the first great serious Broadway musical. Jerome Kern and Oscar Hammerstein II, who wrote the songs, and Florenz Ziegfeld Jr., who produced it, departed from typical musical comedy material, with its chorus lines and songs showcasing star performers. Based on a best-selling novel by Edna Ferber published only the year before, it's a serious melodrama with musical numbers that actually reveal character and further the plot. We call this kind of musical "integrated," and with its multiracial cast and a plot that deals, among other things, with the plight of an interracial couple for whom it's illegal to perform together in certain Southern states, it's "integrated" in more ways than one. In the first film version of Show Boat, partially silent, the whole issue of race was dropped. But in the next movie version, released in 1936, director Whale, whose previous films include Frankenstein, The Invisible Man and The Bride of Frankenstein, restored the prickly racial issues. As the stevedore Joe, Paul Robeson — long before he was blacklisted for his pro-Soviet politics — sings the show's most memorable anthem: about how the mighty Mississippi River, that unstoppable force of nature, is completely indifferent to human suffering. The studio forced Whale to cut an elaborate production number at the end of the film, so one of the few places where you can really see his directorial touch is in the surreal "Ol' Man River" montage, with the camera suddenly swirling around Robeson. The part of Joe was conceived for Robeson. Though a scheduling problem forced him out of the original production, he was in the London premiere and in the first Broadway revival. In fact, almost everyone in this movie was previously connected with the stage production. The incandescent torch singer Helen Morgan, who made very few films and died of cirrhosis of the liver at the age of 41, re-creates her original role of Julie LaVerne, the show boat's tragic mixed-race leading lady. We hear her tremulous soprano in two of Show Boat's greatest hits: "Can't Help Lovin' Dat Man" and "Bill," the one song in the show originally written not by Hammerstein but by P.G. Wodehouse, for a different show. I love the musical opening, an ironic quotation from Beethoven's Leonore Overture No. 3, a phrase that depicts a noble hero. But in the song, "Bill" is just "an ordinary man." The film's big star is Irene Dunne, who played the heroine, Magnolia, in the first road company of Show Boat. She's enchanting, and touching, even in a rather queasy number in blackface. Her debonair leading man is Allan Jones. The irrepressible Hattie McDaniel is Queenie, Robeson's complaining but easily appeased wife. A delightful comic duet between Robeson and McDaniel was one of three new songs added to the movie by Kern and Hammerstein, at the expense of a number of other songs that were cut. I especially miss their hilarious paean to show business, "Life Upon the Wicked Stage." Daring as the racial issues in Show Boat were, its glory has always been its music, and my only major regret about this film — one of the most important movie musicals ever made — is that it doesn't include more of the score. Lloyd Schwartz teaches in the creative writing M.F.A. program at the University of Massachusetts, Boston, and is senior editor of classical music for the Web journal New York Arts. This is FRESH AIR. Broadway had never seen anything like it when "Show Boat" arrived at the Ziegfeld Theater in 1927. The score by Jerome Kern and Oscar Hammerstein II was unforgettable, and the story tackled complex racial issues. There have been three movie versions, but the best one, according to classical music critic Lloyd Schwartz, has only just been released on DVD. Here's Lloyd's review. UNIDENTIFIED WOMAN: We could make believe I love you. We could make believe that you love me. UNIDENTIFIED WOMAN AND MAN: Might as well make believe I love you. UNIDENTIFIED MAN: Oh, to tell the truth, I do. LLOYD SCHWARTZ: In 1927, "Show Boat" became the first great serious Broadway musical. Jerome Kern and Oscar Hammerstein II, who wrote the songs, and Florenz Ziegfeld, who produced it, departed from typical musical comedy material with its chorus lines and songs showcasing star performers. Based on a best-selling novel by Edna Ferber, published only the year before, it's a serious melodrama with musical numbers that actually reveal character and further the plot. We call this kind of musical integrated. And with its multiracial cast and a plot that deals - among other things - with the plight of an interracial couple for whom it's illegal to perform together in certain southern states, it's integrated in more ways than one. In the first film version of "Show Boat," partially silent, the whole issue of race was dropped. But in the next movie version, released in 1936, director James Whale, whose previous films include "Frankenstein," "The Invisible Man" and "The Bride Of Frankenstein," restored the prickly racial issues. As the stevedore Joe, Paul Robeson, long before he was blacklisted for his pro-Soviet politics, sings the show's most memorable anthem about how the mighty Mississippi River, that unstoppable force of nature, is completely indifferent to human suffering. PAUL ROBESON: Old man river, that old man river. He must know something but don't say nothing. He just keeps flowing. He keeps on rolling. For all the people - forever keeps rolling on. Old man river. He just keeps going. You and me, we sweat and strain, body all aching and racked with pain. Tote that barge. Lift that bale. Get a little drunk. And you land in jail. SCHWARTZ: The studio forced James Whale to cut an elaborate production number at the end of the film. So one of the few places where you can really see his directorial touch is in the surreal "Ol' Man River" montage - with the camera suddenly swirling around Paul Robeson. 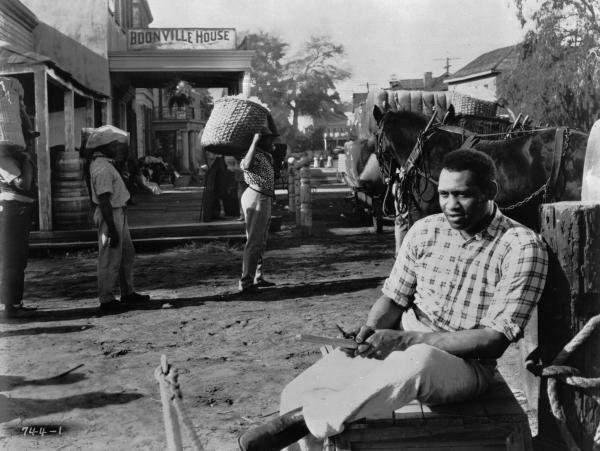 The part of Joe was conceived for Robeson, though a scheduling problem forced him out of the original production. He was in the London premiere and in the first Broadway revival. In fact, almost everyone in this movie was previously connected with the stage production. The incandescent torch singer Helen Morgan, who made very few films and died of cirrhosis of the liver at the age of 41, re-creates her original role of Julie LaVerne, the "Show Boat's" tragic, mixed-race leading lady. We hear her tremulous soprano in two of "Show Boat's" greatest hits, "Can't Help Loving That Man" and "Bill" - the one song in the show not originally written by Hammerstein, but by P.G. Wodehouse for a different show. I love the musical opening - an ironic quotation from Beethoven's "Leonore Overture Number 3," a phrase that depicts a noble hero. But in the song, Bill is just an ordinary man. SCHWARTZ: The film's big star is Irene Dunne, who played the heroine, Magnolia, in the first road company of "Show Boat." She's enchanting and touching - even in a rather queasy number in blackface. Her debonair leading man is Allan Jones. The irrepressible Hattie McDaniel is Queenie, Paul Robeson's complaining but easily appeased wife. A delightful comic duet between Robeson and McDaniel was one of three new songs added to the movie by Curran and Hammerstein, at the expense of a number of other songs that were cut. I especially miss their hilarious peon to show business - life upon the wicked stage. Daring as the racial issues in "Show Boat" were, its glory has always been its music. And my only major regret about this film, one of the most important movie musicals ever made, is that it doesn't include more of the whole score. DAVIES: Lloyd Schwartz teaches in the creative writing MFA program at the University of Massachusetts Boston and is a senior editor of classical music for the web journal New York Arts. 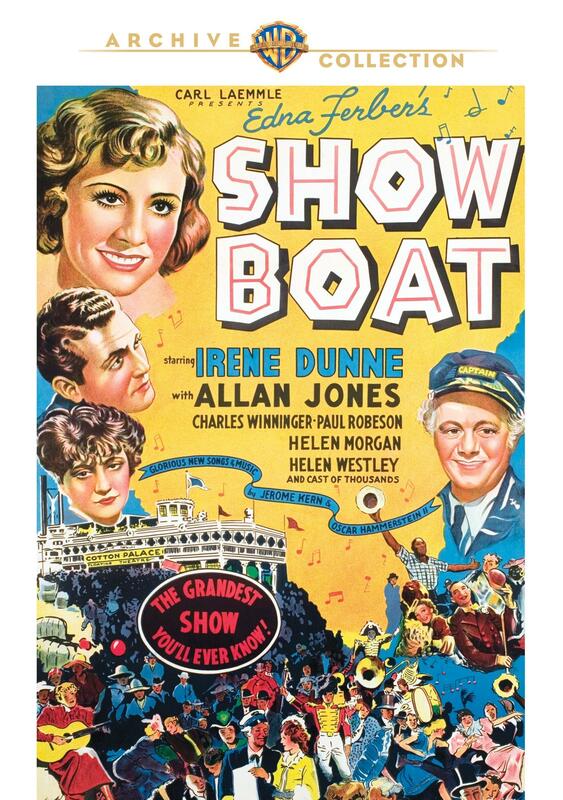 He reviewed the first DVD release of James Whale's 1936 film of the musical "Show Boat" on the Warner archives label. ROBESON: (As Joe) No matter what you say, ah still suits me. HATTIE MCDANIEL: (As Queenie) You don't make money. ROBESON: (As Joe) I know that, honey. MCDANIEL: (As Queenie) I never see none. ROBESON: (As Joe) Ain't going to be none. But that don't worry me none, no sir-ee. MCDANIEL: (As Queenie) Shif'less. Lifeless. No good. DAVIES: For Terry Gross, I'm Dave Davies. Transcript provided by NPR, Copyright NPR.